What are the rods in heads? Just knocked the plugs out of my heads and am wondering what the metal rods behind them that are somewhat freestanding that run the length of the head are and what they do. On one head they are not attached to anything, on the other it seems like they are connected on one side. Last edited by johnsonic : 09-30-2018 at 12:09 AM. Here's a photo if it helps - see those two rods behind the plug hole? don't worry, there for casting when the head is poured. If they are loose, pull them out, if not just leave them in. They held the sand casting cores together when the heads were cast. The sand was broken up and flushed out after the casting cooled but the rods remained. AMC didn't bother to remove them since they don't cause any harm. Learn something new every day - thanks guys! Hmm, guess I make #3. Never knew that. The sixes have the rods in their heads too. I thought it was a coat hanger that someone twisted up and shoved into my cylinder head the first time I saw one. That thought evolved into thinking it was a sort of sacrificial anode installed by the factory to prevent corrosion. Then I read on the AMC forum that they are just rods used to hold the casting sand cores together. They break up the cores with a vibratory shaker so the sand breaks up and falls out but the rods remain. 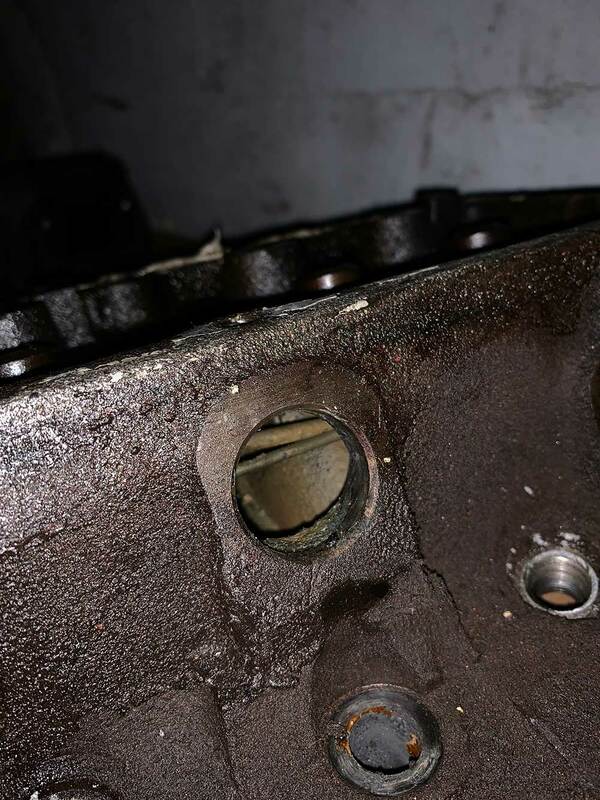 I thought the idea of someone shoving a coat hanger in my cylinder head was far more entertaining.